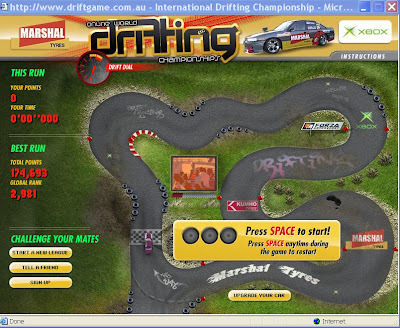 This is really a cool game I was playing on the computer after all the nights of “working”, called Online World Drifting Championships. I hold the Global Rank of 6,802? 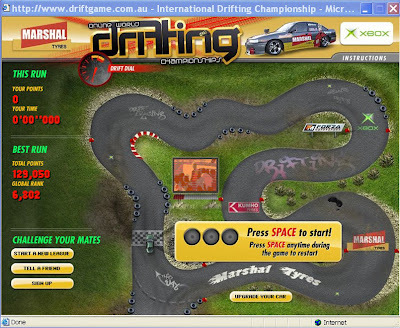 After having scored total points of 129,050 (which include the amount of drifts and the time taken to finish the course). Which I was a bit disappointed. (Cuz I have a bit of real drifting skills)! Anyway I did my best. Click here to try this Game NOW! !